Adult classes are held on weekday evenings from February to December. Due to the increasing interest in pottery in the community, we receive numerous emails about classes every week. Unfortunately we aren’t able to accommodate all the interest and there is currently a waiting list for classes. 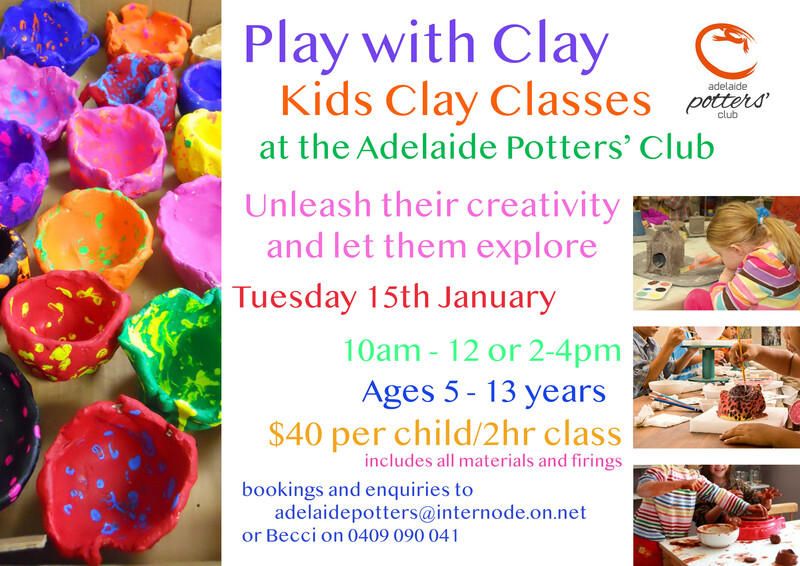 Children’s classes are often held in the school holidays and are very popular. Are there any pottery classes on a Tuesday during the day? I’m hoping to introduce my 10yr old daughter to pottery making and wondering if you hold any classes we could come to. If not do you know anywhere that does? I’m finding her age to be the issue. Thanks in advance, Anita Twomey. Please see our poster on the website regarding kids classes coming up. Hi, I am interested in the adult pottery class. May I have more information about the next avaliable class please? More specific about price, time and duration. Thank you very much.